Dragonwell Publishing has had a few titles featured here before, and they’re back now with another: Jonathan L. Ferrara’s new offering, The Blackwell Family Secret: The Guardians of Sin. 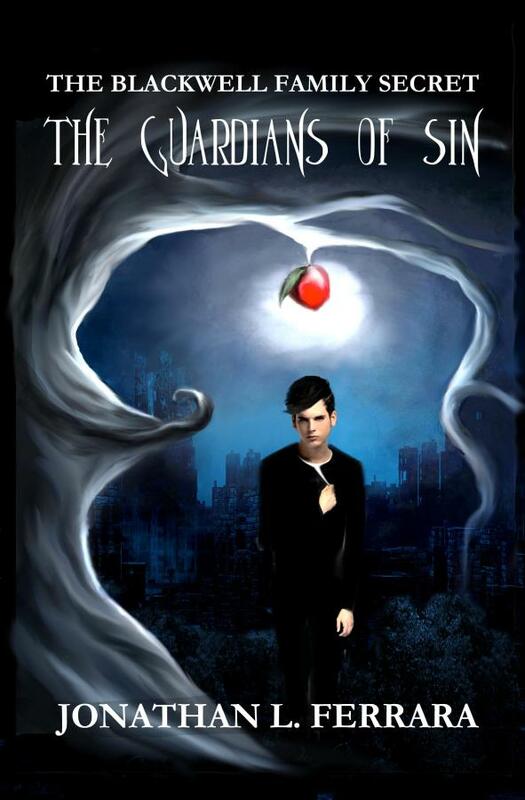 If you like some angels and demons in your reading, you might want to check this one out. And as villains go, you don’t get much more old-school than the original fallen angel himself. Thousands of years gone since I fell from grace, condemned for eternity in the City of Demons. Humans fear me, demons worship me, but Nicholas Blackwell threatens me? The orphaned brat with nothing but his family’s dark secret to haunt him thinks he can stand a chance against the first fallen angel? Protected at his school by my noble brother, Gabriel; these days blending within humanity as a janitor of a Catholic boarding school. He is more pathetic than I remember him to be. Never fear. I have a plan to lure Nicholas to me. An ancient trick I’ve used before: the forbidden fruit. One bite and he will unleash the Seven Deadly Sins, sending him on his journey through Demonio. I wonder how he will handle himself against my Princes of Hell while hunted by demons, and terrorized by evil. But if he succeeds, perhaps he is more valuable to me groomed as my appreciate rather than another soul trapped in the Valley of Death. Let’s see if Gabriel can protect him now. But the girl who accompanies him on his quest against sin… She troubles me in so many ways. She knows more than she leads on. Amy—a teenage girl, or perhaps something more? Either way, my true concern lies with Nicholas’s affection for her. She teaches him the virtue of humility when it is the sin of Pride that must conquer him if he is to embrace his family’s legacy. It’s not just Amy, it’s those betrayers hidden in my city. They call themselves the “Risen”. Stupid fools who think they’re clever. I was the one who devised defiance! It was I who began the rebellion! Yet these “Risen” believe they can do what I did to my Father? They had better pray they find their inner divinity before I pick them off one by one. Nicholas Blackwell, what foolish lies his parents led him to believe. So naive it was to trust them. They kept so many secrets from their precious boy; a secret that has fooled the entire world for centuries and has the power to change life itself. 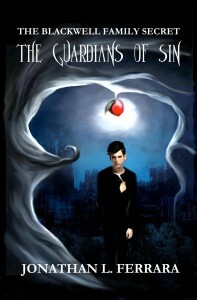 Nicholas, make rightful your sin from indulging in the forbidden fruit. Find me and I will reveal to you the secret your parents took to their graves. All it takes is just one bite. I, Lucifer, await you.